Temple music seems to appeal not only to the intellect but also gets readily absorbed by the heart. It is always sincere and enormous the soul of the listener with its enchanting rhythm of chanting and melody. 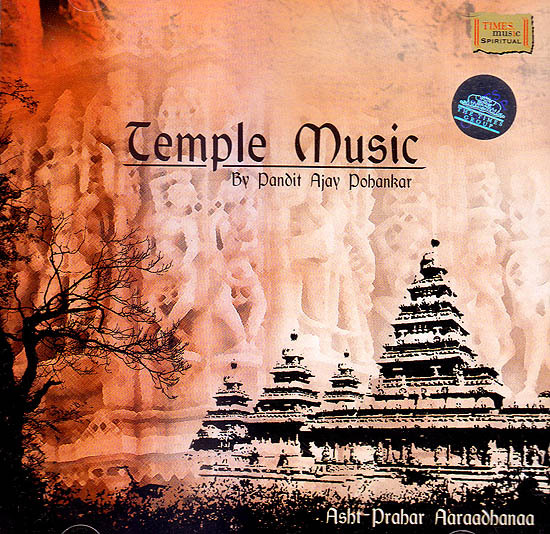 This album presents this very engaging rhythm of the Indian temples merged with ethereal instrumentation and the achingly beautiful vocals by Pandit Ajoy Pohankar. The excellent meditative blend of his lingering voice and intense instrumentation mixed with music based on Hindustani classical Raags, creates a distinctive style of classic and traditional Indian spiritual music. Prayers ideal for wee hours of the morning late morning, noon, evening, twilight and night depending on the time of the particular Raag Echo the soothing and hypnotic aspects of Indian spiritual music. A specific God is praised and propitiated through potent prayers and chants in each track based on specific hours. Vocals and instrumentals in perfect harmony bring tranquility serenity and a universal connection to what body mind soul is all about. Real music to facilitate and reconnection with your soul.